Most people have a faint idea that the iPhone 8 ( cough 7s cough ) recently came out. But what some don’t realise there really isn’t much of a point in getting the device with the X on the horizon. The iPhone 8 is in the name only as it really is 7s. This isn’t a bad thing, but for those who are looking to purchase an Apple phone that is completely different from the current offering, this isn’t it. However, if you are coming from a 6 and below you will find this to do what you need and then some.Faster, better camera and can handle more task due to the 11 Bionic chip, this is definitely ideal for those who do not have an iPhone or haven’t bought a new one in the last 2 years. If you have the current offering then you can skip this all together because….. The strangest thing Apple could have done is to name two different devices on the same night with different spec sheet and release dates, and that is exactly what they did. Not long after the presentation of the 8 Apple had ” one more thing” to show us, which became the most important thing in their history. 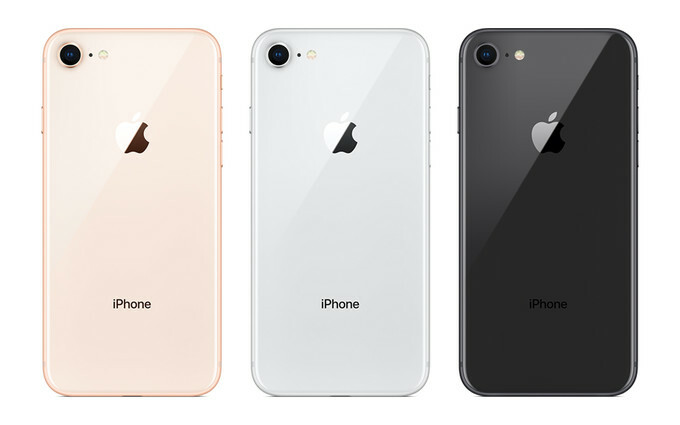 Redesigning the outdated iPhone which has been on the market for the best of 4 years ( iPhone 6 to 8) Apple made the bold move of leaving their comfort zone. With an edge to edge 5.8 display, no home button, Face ID, augment reality and a new look and feel to the iOS this is Apple at it’s boldest which we haven’t seen in a long time. If you want the best iPhone on the market then the iPhone 8 isn’t it. The iPhone X ( or 10 whichever you prefer) is a testament to the origins of Apple, leaving their comfort zone and turning industries on its head. This isn’t to say that the iPhone 8 is the worst phone in the year, on the contrary, it is up there with the very best. Traditional the iPhone would be in the top 2 phones of the year but alas that is no more. With the outdated design and minor upgrades, this isn’t the phone for you to fully experience an iPhone if you have one of the current offerings. So wait, bigger and better is coming, as the famous phrase goes there is “one more thing”.